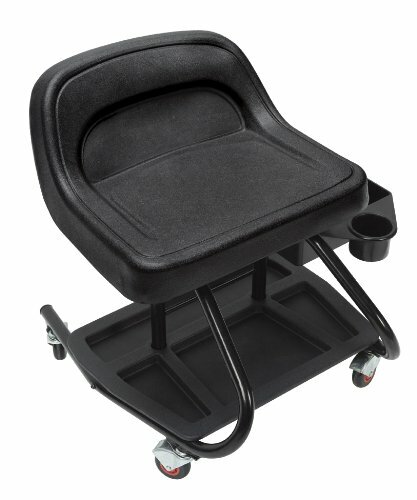 Heavy-duty seat with steel frame with modern design has four 2-1/2 inch inline rollers with patented design. Tractor seat for added strength, durability, and comfort. Plastic tray built in the bottom of the frame for easy storage. Swing out tray with built in holders. If you have any questions about this product by Whiteside Manufacturing, contact us by completing and submitting the form below. If you are looking for a specif part number, please include it with your message.